The British version of Top Gear is likely to be atop the Facebook Favorite TV Shows of any car guy. Last year they rolled out a US Version featuring a new cast of characters. I am not going to say that it lives up to the original and I will even concede that it makes it occasionally embarrassing to be an American but it is still usually worth watching. This week’s episode was actually pretty good. The bargain luxury car challenge was pretty entertaining. When the boys in England did the bargain Supercar Challenge it was one of my all time favorites. This was not quite there but it had some moments. I have to agree with Adam that Tanner’s choice of the Jaguar was not going to wow anyone. Rutledge’s Fiero/Ferrari didn’t necessarily follow the intent of the contest but it was good for entertainment value at least. Adam’s Rolls Royce Silver Shadow was by the far the most impressive choice. The problem with the outcome of this challenge was that it did not accomplish the goal. We need to communicate that no matter what your price bracket is, you can buy something really cool that works. Demonstrating that you can buy an unreliable and ridiculous caricature of a luxury car is not what 15 year old high schoolers dreaming about their first car want to see. The challenges were not quite as well thought out as they could have been but in the end it was worth watching. Tanner’s test of the GT2RS was a lot of fun. I agree with the practicality of current 911’s being something really impressive. The usability and diversity of the range has really gotten out there with twenty-something models at this point. The night drifting through the streets of LA was really cool. It had a very Rendezvous feel. 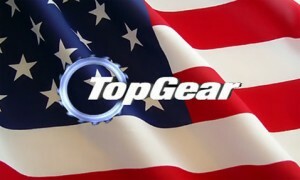 I still don’t get the feeling that I learn anything from Top Gear US. It is worth the time but still feels like it could have been much better. Hopefully as they get some more reps in they will catch their stride and actually come up some better programming. The Star in a Reasonably Priced Car was unwatchable as usual. I don’t know who that girl was and I don’t watch her show.The fact that she set the record doesn’t speak well to the caliber of drivers that it attracts. The Balboni did look great parked on the set though!